I have been an avid reader since kindergarten. My Ma made sure of that (as an avid reader herself). Growing up, I spent a lot of time by myself, in NYC the commute allows for a lot of downtime, I used to be an insomniac – all of these reasons have fostered my love of reading. I had hoped to “read 100 books in 1 year”. But, due to a number of things (LIFE the most prominent) – I fear that will be a goal I will fall very short of. However, I thought I would cut it in half and be determined to “read 50 books in 1 year”. That would average me out to six books a month through the end of the year – very doable. Then I started to read the GoT series which are lengthy (I hear the new one is over 1500+ pages and not completed as yet) and, who knows, that goal may morph as well. Ha. Before I started reading the massive tomes of George RR Martin, I picked up a number of used books from Empire Books & News in Huntington, WV (mingled with the Marhsall University campus). They have a HUGE number of used books (some library quality) that are for sale. 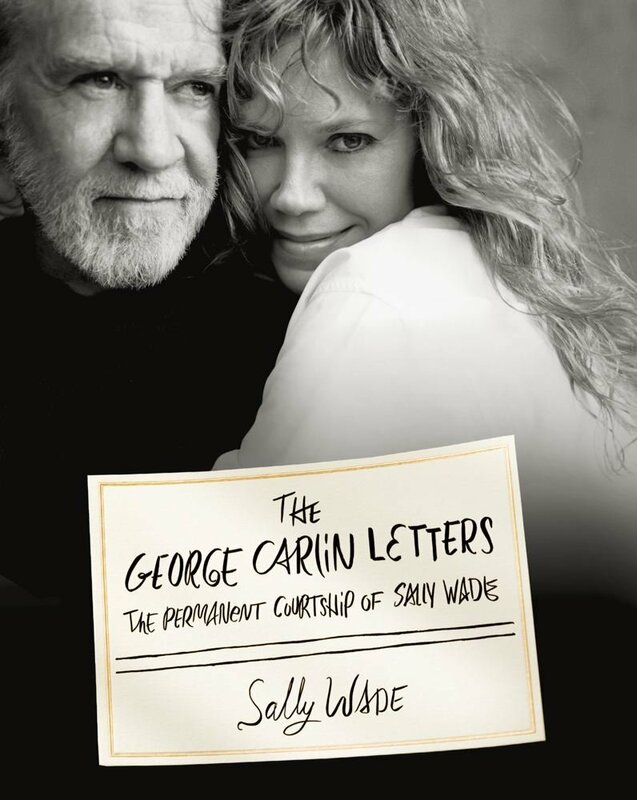 From there, I purchased: The George Carlin Letters: The Permanent Courtship of Sally Wade. I was so pleasantly surprised for this find! I had never heard of the book but had always been a Carlin fan. If you watch he video from the author (the Sally Wade as noted in the title) – she explains that George died two days shy of their 10th anniversary. He showed up to their first date with a toaster oven in one hand and a pair of socks in the other. He never left. Every day he wrote her a note, a post-it, a poem or some expression of love. This book counters his “tough guy misogynistic” persona. He was warm, loving and adored his “spouse without papers”. The book leaves you in awe of their love, their palpably real and true love. It’s a fun and easy read. Their witticisms are woven well into each other. The title of the book is the note he left on her computer the day he died. My heart aches to hear her speak of it in the video – her love continues on for her soul-mate. I HIGHLY recommend you read this book! I plan on sending my copy of this book to my friend Ashton (she doesn’t know that yet) – along with her copies of 50 Shades of Grey (that I have not returned over a year later)… I just feel that this book should be shared, passed around and read repeatedly. In the novel, presenting various points of view and plot-lines, Martin introduces the noble houses of Westeros, the Wall, and the Targaryen plot-line. The novel has lent its name to several spin-off works based on the series, such as several games. It is also the basis for the first season of Game of Thrones, an HBO television series which premiered in April 2011. I am a Stephen King fan of old and, not until GRRM, have I found an author that is so utterly descriptive. UTTERLY. I love it, mind you. But, there are sometimes that I find myself “skimming vs reading” some of the more detailed passages that I know will not be covered again at a later time (this assumption is solely based on the viewing of the HBO series). I loved the first book though and I applaud HBO for staying so close to the storyline and keeping the vast majority of details as laid out by Martin. Many times, when taken to the screen (big or small) – the immense nature of details from the books usually makes a person feel as if the “come to life” version is a short-sale of the book. For me, that was not the case in this instance. I have found that there are two sets of serious Game of Thrones fans – the series vs the readers. This became ever so apparent when the episode The Red Wedding aired. The howls from the “series fans” were heard around the world as the “reader fans” chuckled because they had held that piece of information close to their chest and allowed it to play out on our TV sets. It was because of the Red Wedding that I decided to venture into the novels and quit stalling on reading them (they are huge reads after all and as aforesaid, I have goals). I am not disappointed at that decision. I am a couple hundred pages into the second book. I am finding that the characters I love now have more definition (and their actions make more sense with reading the books). I am also finding that the characters I had no “real feel” for are now developing into ones that I either hate or love. 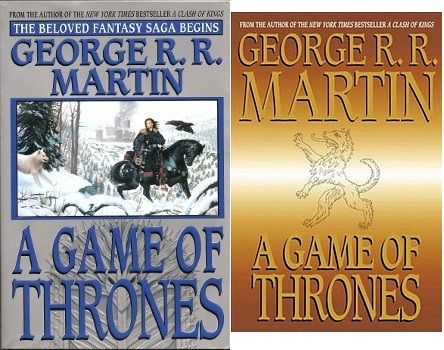 Kudos to GRRM – his writing styles make it easy for you to want to pick up his books and get carried away into his fantasy of kings, wars, dragons and all things Game of Thrones. I recommend this book as well but only to people who do not “bore” when reading large, ornately detailed books. If that is the case, just stick to the series, it covers GRRM’s books very well. I am reading the books on my eReader and will purchase the actual books for the shelves of my library. However, I think I would prefer to have the original covers (if they can be found). If you are looking for a summer read, pick up the Carlin book. If you are looking for a long adventure that might take months for the average reader to sift through, definitely go with Game of Thrones. Either way, if you read (or have read) them – let me know what you think.